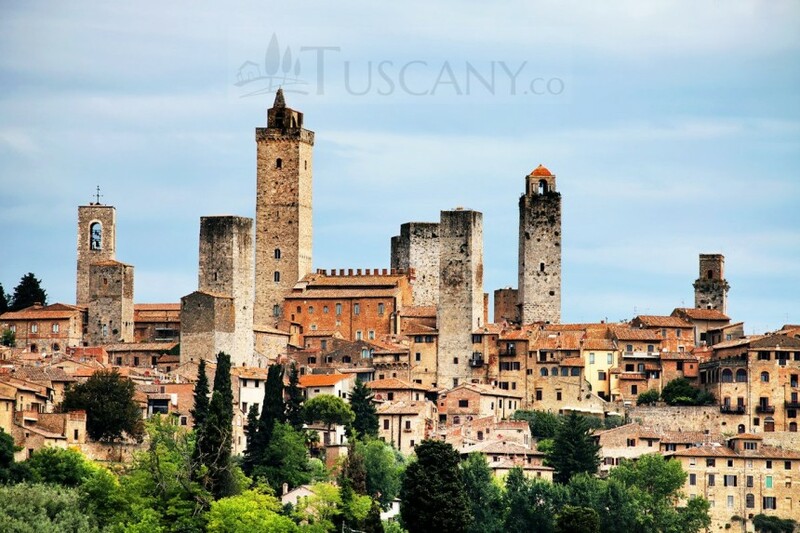 Developed from an Etruscan settlement, the medieval walled town of San Gimignano is located in the heart of the Elsa valley in the province of Siena, in the region of Tuscany, Italy. 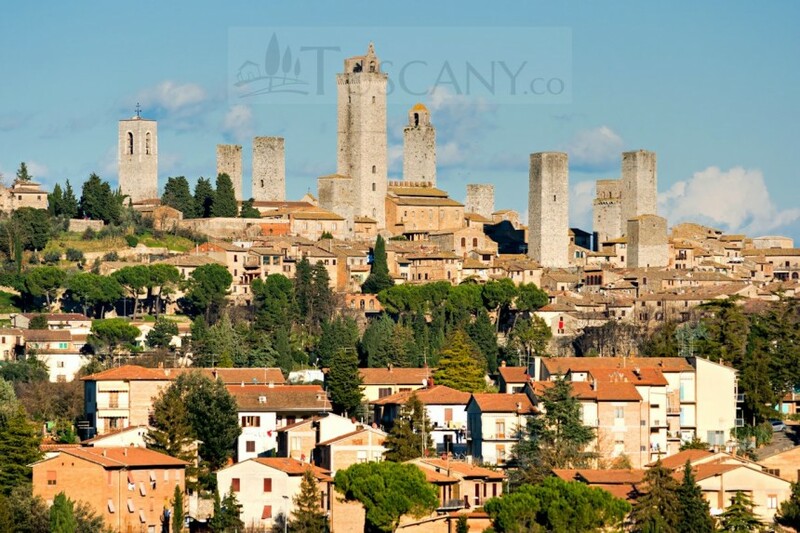 Nestled into its high position in the hills, its 14 towers provide this town with a unique skyline that can beat any modern day high rise city. 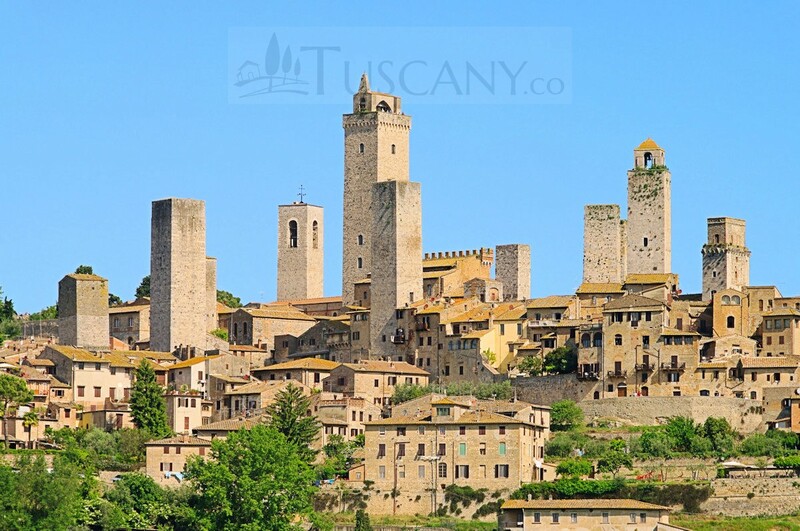 With plenty of architectural structures and historical places to see, this town, preserved in its medieval state, is now recognized as a vacation resort and is protected by UNESCO as a World Heritage Site. 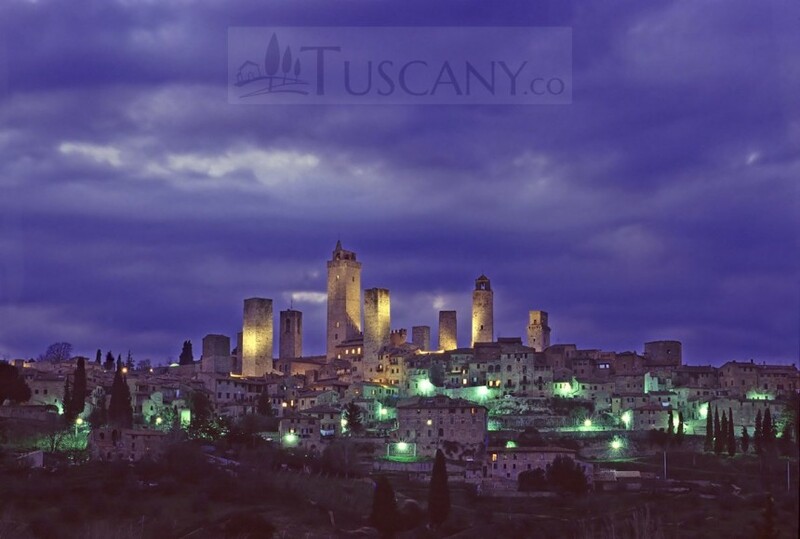 San Gimignano has been around since early times gradually developing from a few houses, into a small settlement. The region is rich in produce, particularly saffron and white wine. 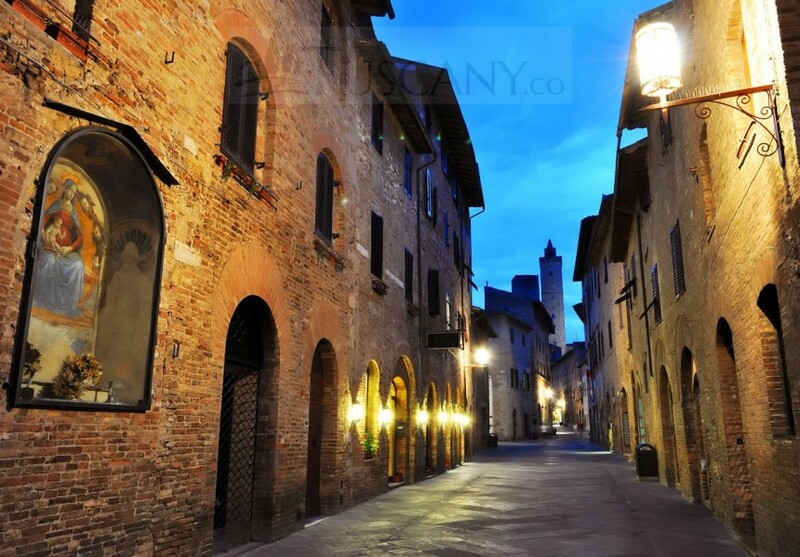 Due to its agriculture, this town was able to earn its status as a commune. 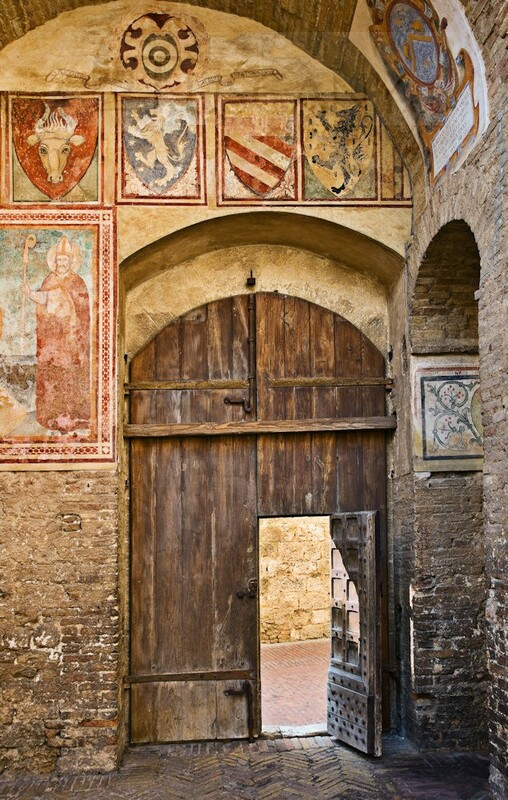 However, shortly afterwards, the bureaucracy fought among themselves for creating the finest pieces of architecture. 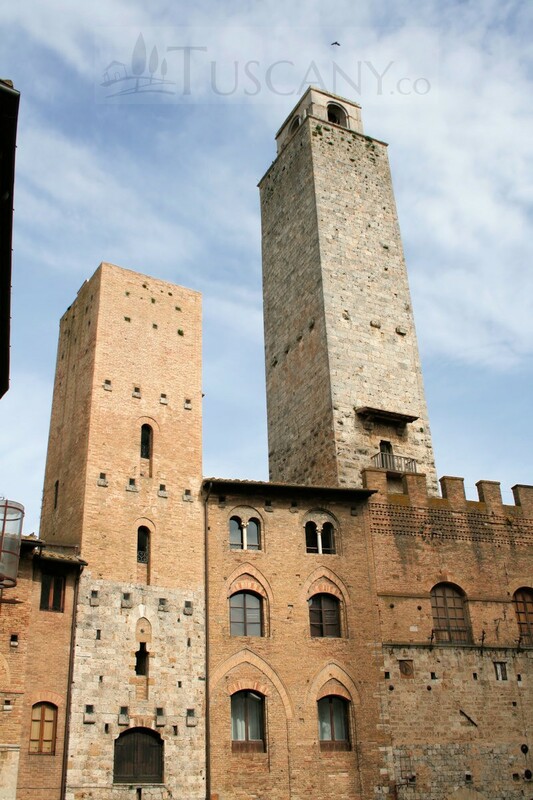 This battle resulted in the construction of 72 towers within the city, out of which only 14 are still standing today. 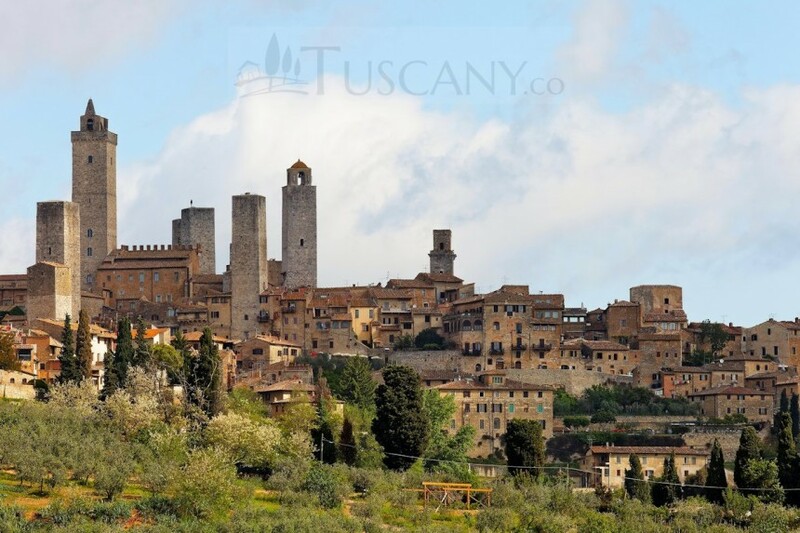 After being attacked by the Black Death in 1348, this town submitted itself to the rule of Florence. 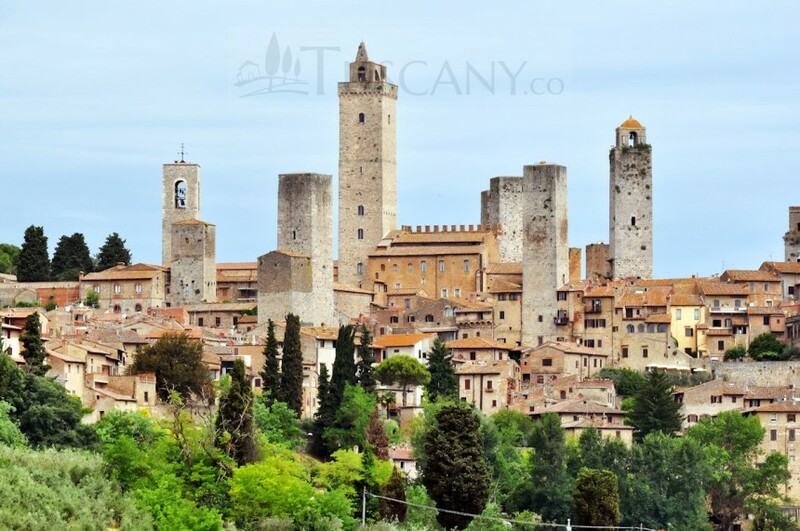 Not much has changed in this city since then and it has preserved its medieval construction and history to give visitors the experience living in the medieval era. 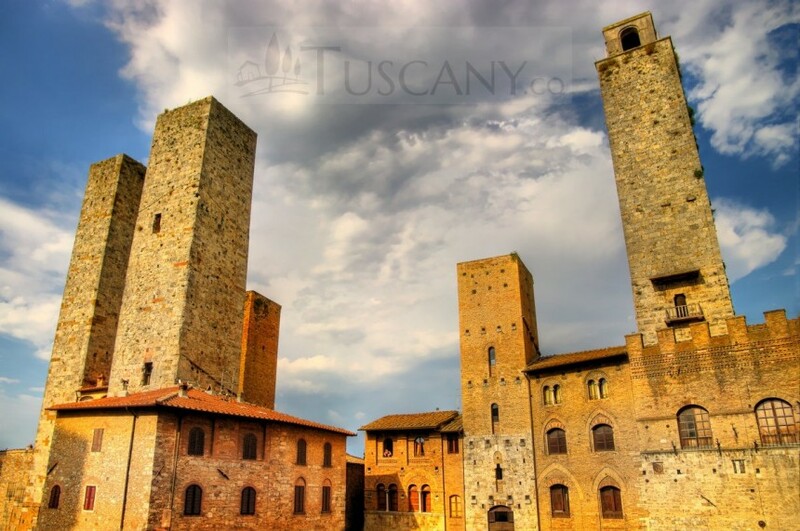 San Gimignano is also known as the ‘Town of Fine Towers‘ or the ‘City of Beautiful Towers’. 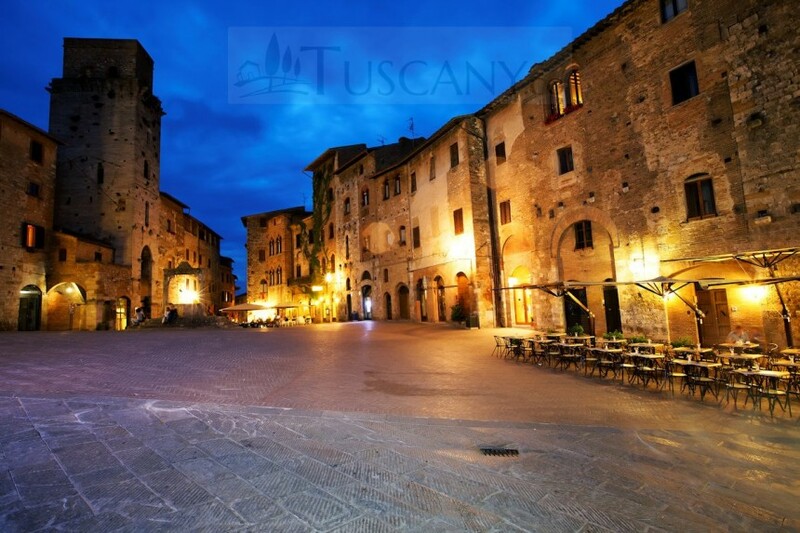 The town is built is such a manner that the main street divides it into half, creating two Piazzas, the Piazza della Cisterna and the Piazza del Duomo. 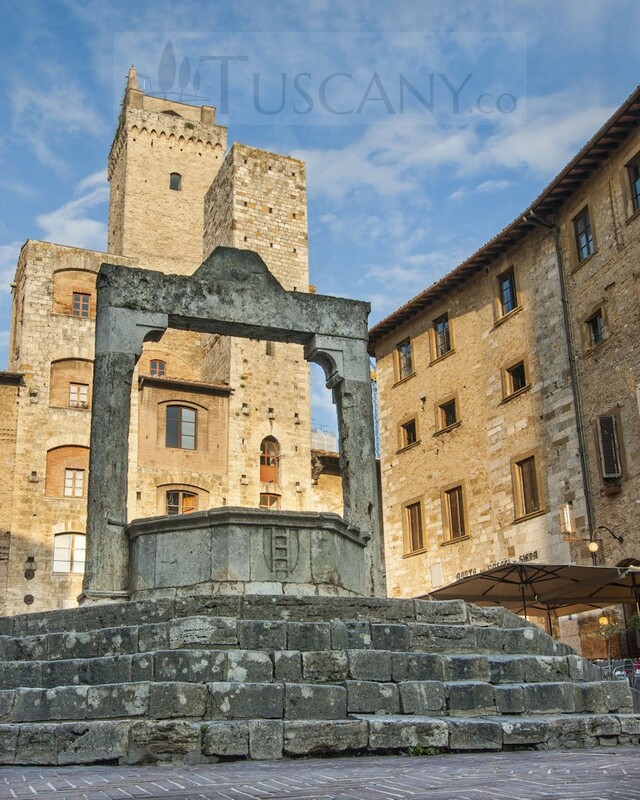 The Piazza della Cisterna gets its name from the well located in the center of this triangular area, which used to be the main source of water for the people of earlier times. 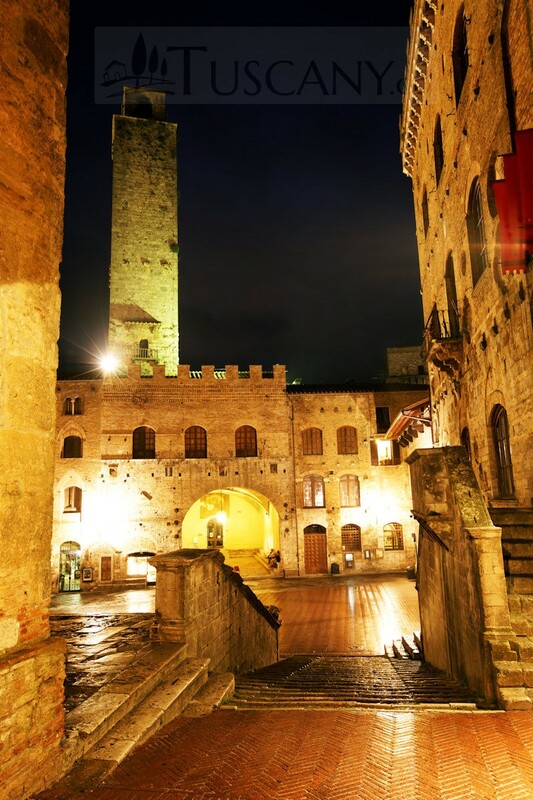 The area is surrounded by medieval towers and tower-houses on all sides, providing visitors with the ultimate feel of walking among the medieval era. 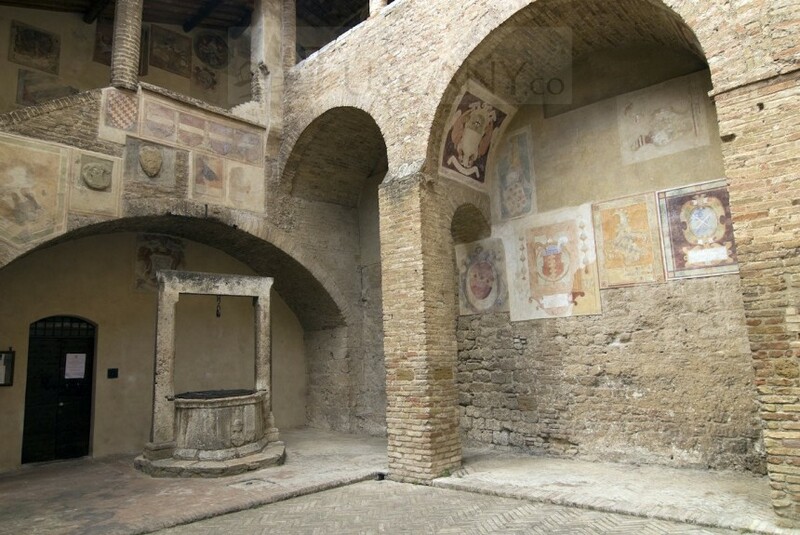 Architectural structures, including ancient palazzos, have still been maintained in spite of the renovations that have been done in this area in the 20th century. 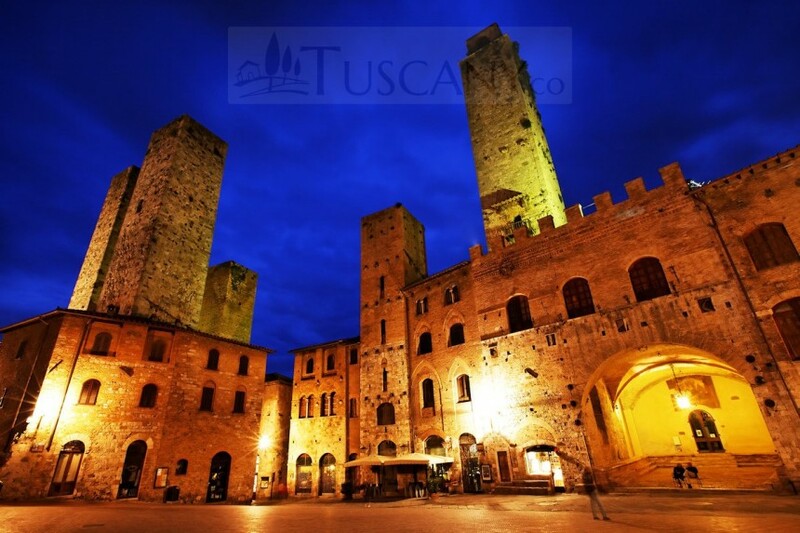 In comparison, the Piazza del Duomo features more monuments than towers. 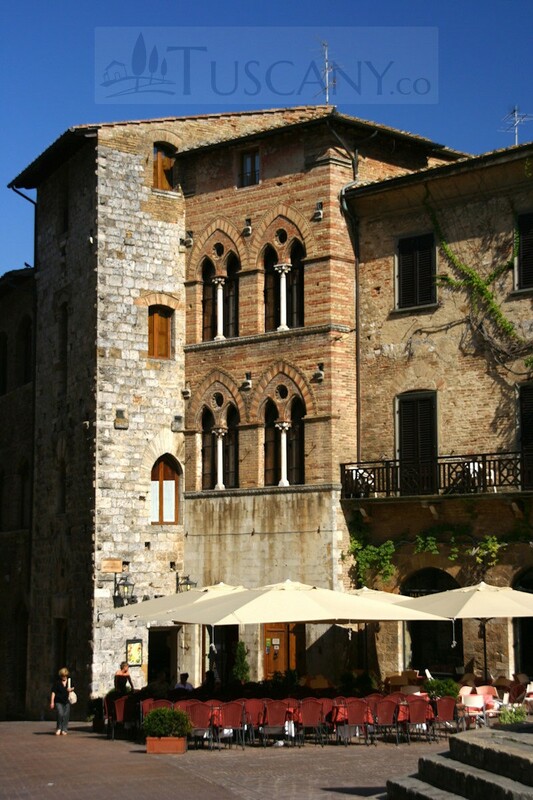 The main building in this area is the Collegiata di Santa Maria Assunta (Collegiate Church of the Assumption of Mary). 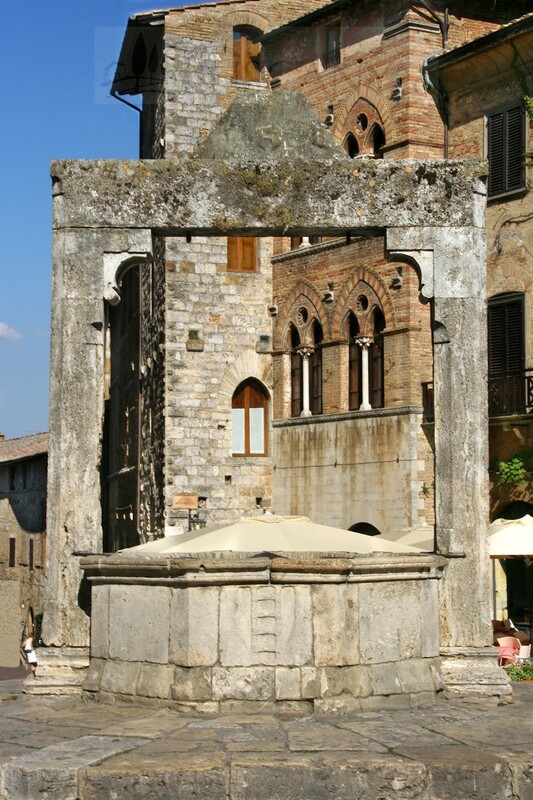 This structure is also known as the Duomo, which gives this piazza its name. 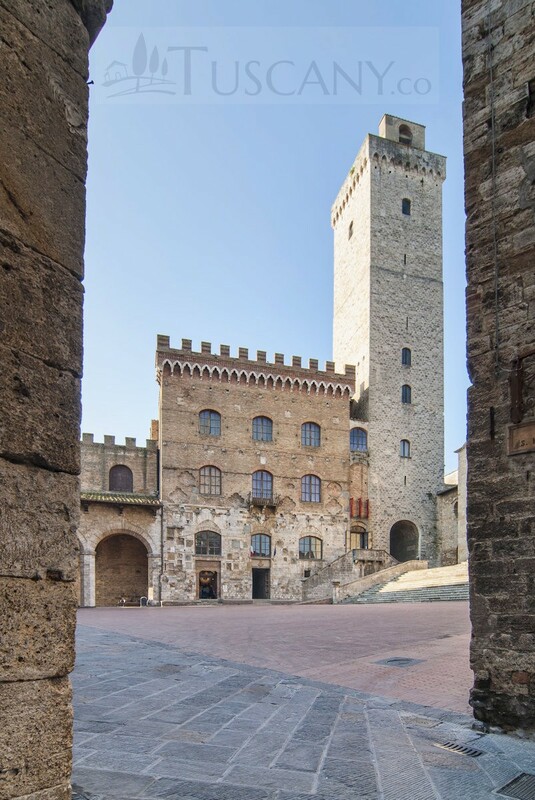 Other important architectural monuments include the Palazzo Comunale or the Palazzo del Popolo (the Municipal palace or the People’s palace) and the Palazzo del Podestà (the house of the mayor). 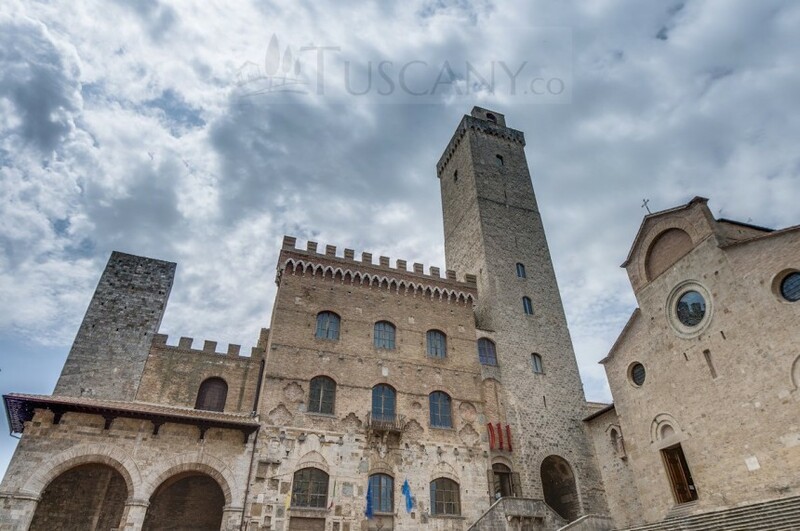 Aside from visiting the Piazzas, Palazzos and Torres, you can also visit the castle at the edge of town, set above it, on the hill. 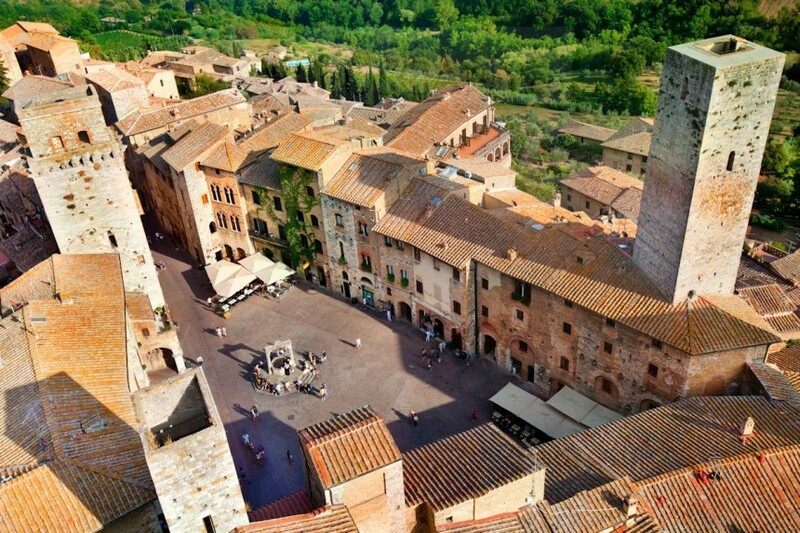 You can get a beautiful view of the entire city from that vantage point. 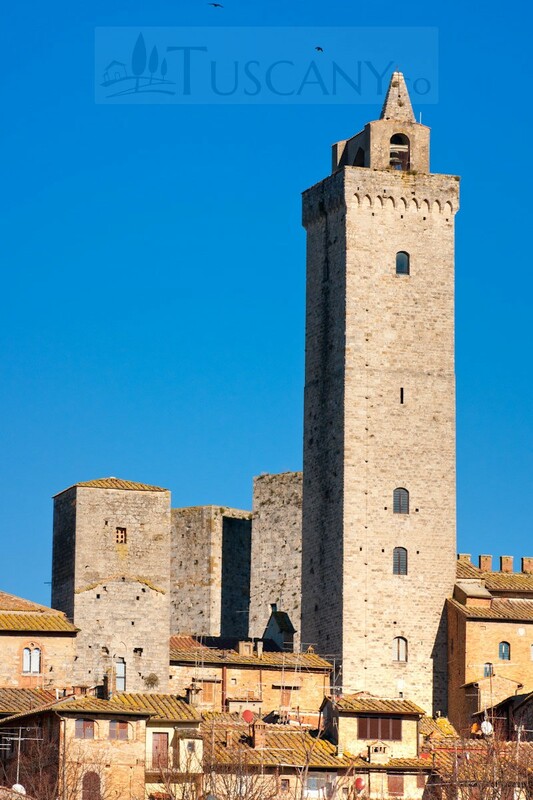 There are also many churches and museums you can visit during your stay at San Gimignano. 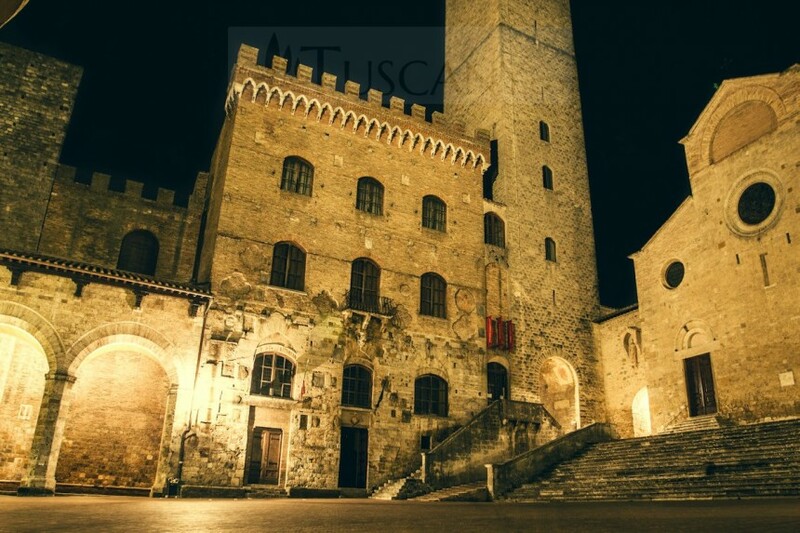 Some of the museums that are truly unique, include the Museo Etrusco (Etruscan Museum), the Museo della Tortura e di Criminologia Medievale (Medieval Criminal and Torture Museum) and the Museo d’Arte Sacra (Musuem of Sacred Art). 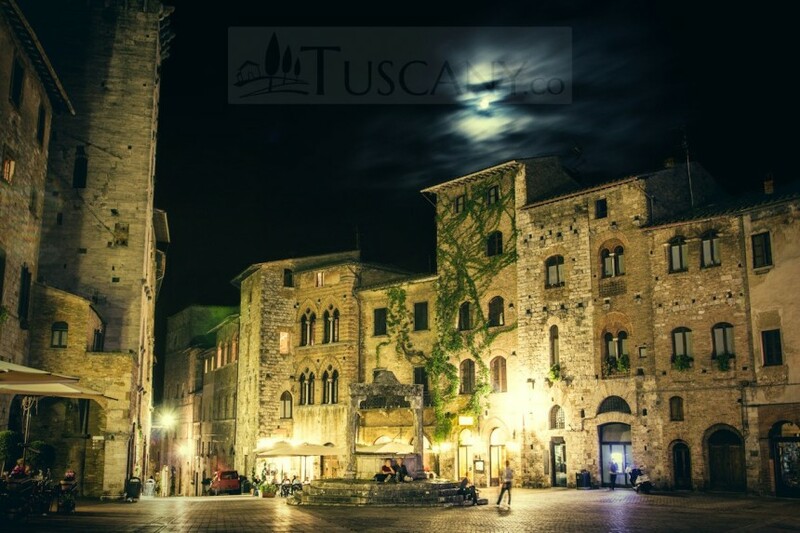 If you are a fan of nature, go on a horse riding tour around the surrounding woods. 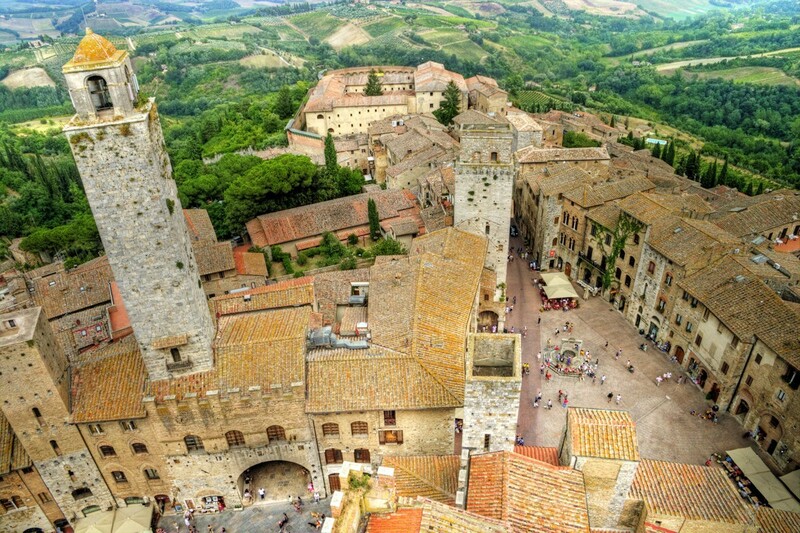 See the natural beauty surrounding this medieval land. 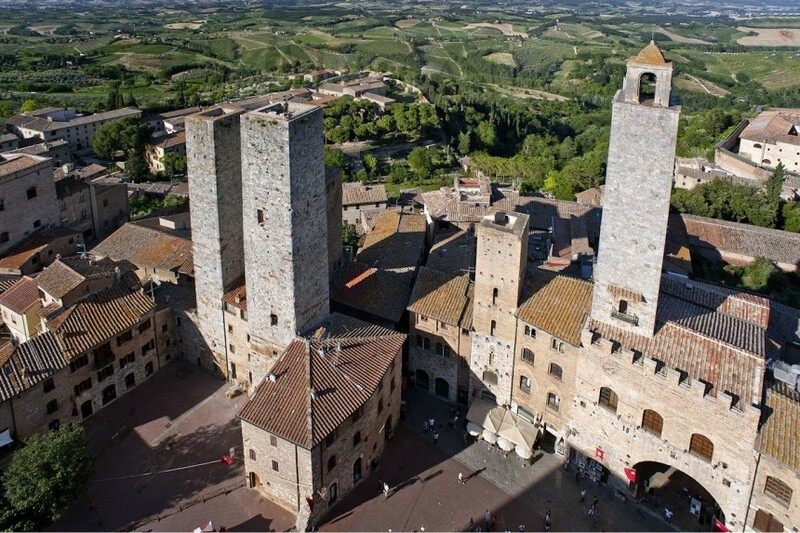 No matter what you do, or where you come from, San Gimignano can promise you a memorable vacation!